Does anything bring joy on Christmas morning like a little red Cartier box? Behind the last door of the Luxury London advent calendar lies a collection of gleaming Cartier bracelets. 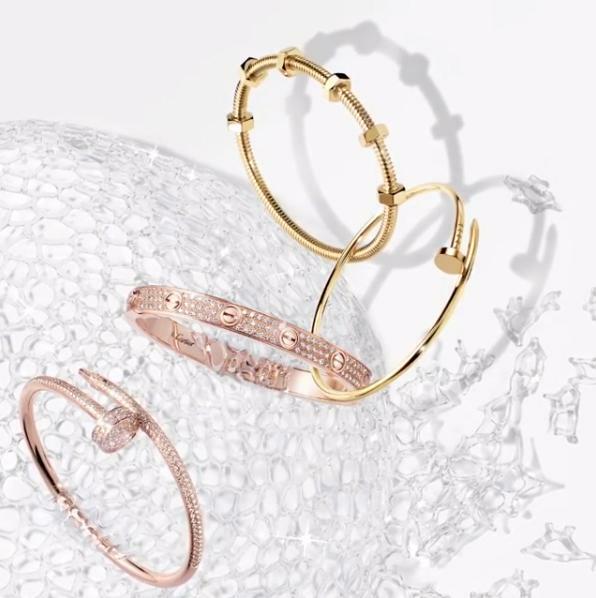 Pictured here, the iconic Cartier Juste un Clou and Écrou de Cartier collections, which take influence from industrial nuts and bolts and blend timeless craftsmanship with a rock 'n' roll edge. And of course, the seminal Cartier Love Bracelet, an enduring symbol of romance and style since its inception in 1969. Cartier has reopened its Bond Street boutique following a sumptuous renovation, complete with a VIP cocktail bar stocking Cartier-branded champagne. Where better to reward oneself this Christmas? Last minute gifts needn't be a let down. Look no further than Maison Assouline's offering of exquisite, collectible table coffee tomes and lifestyle offerings, from candles and bookends to a plethora of chic stationery. 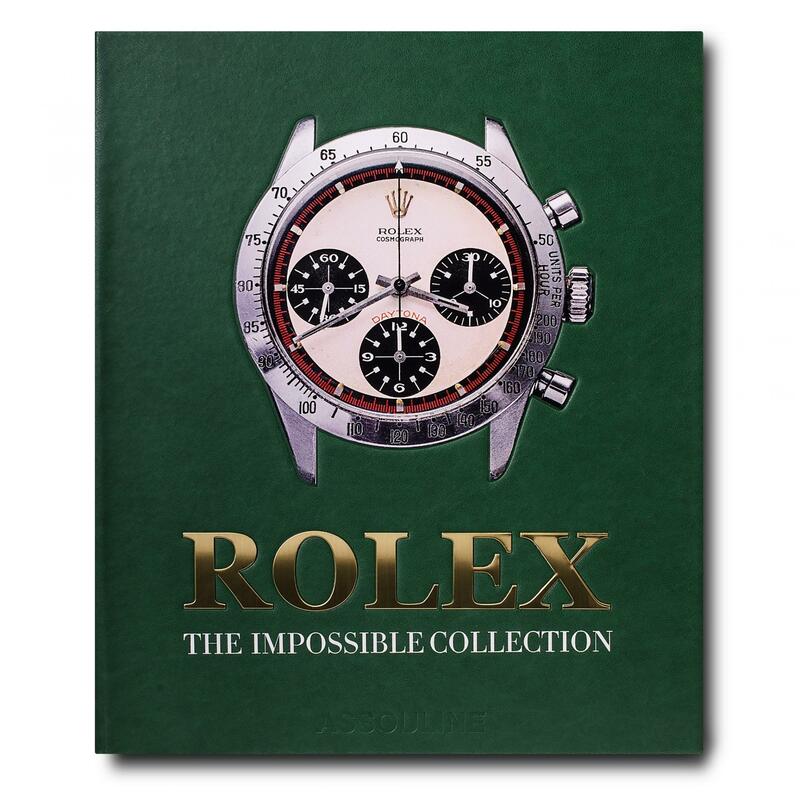 High on our wishlist for a watch lover is the comprehensive new Rolex: The Impossible Collection by Fabienne Reybaud or Iran Modern, which details the life and work of Farah Pahlavi, Iran's first and last Empress who empowered a generation of young Iranian artists. The ultimate chic party prop this Christmas season? 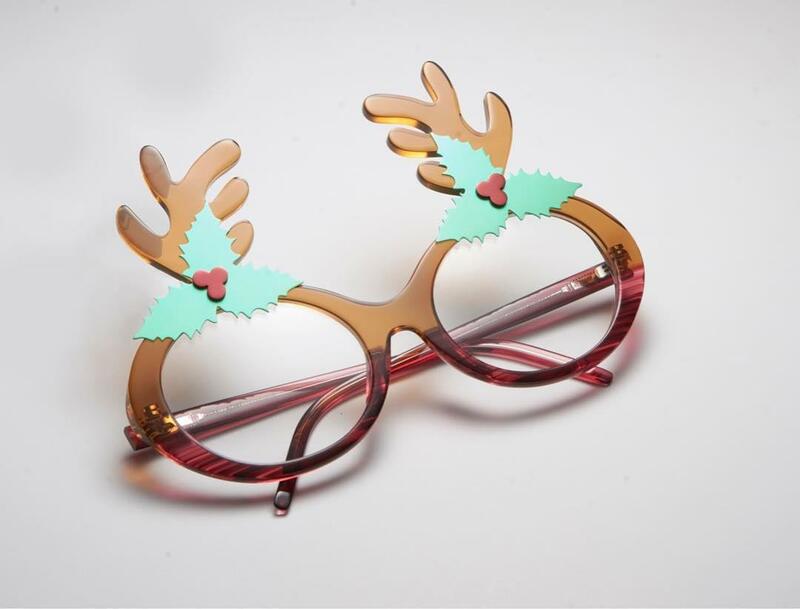 A playful pair of limited-edition Tom Davies Christmas glasses. As with everything Tom Davies does, these conversation-starting spectacles have been expertly handcrafted in London using premium quality acetate, thus creating a novelty item with luxury allure. They are also the ideal post-party cover-up following one too many sherries the night before. As Patek Philippe's signature slogan goes, you never actually own a Patek Philippe. You merely look after it for the next generation. 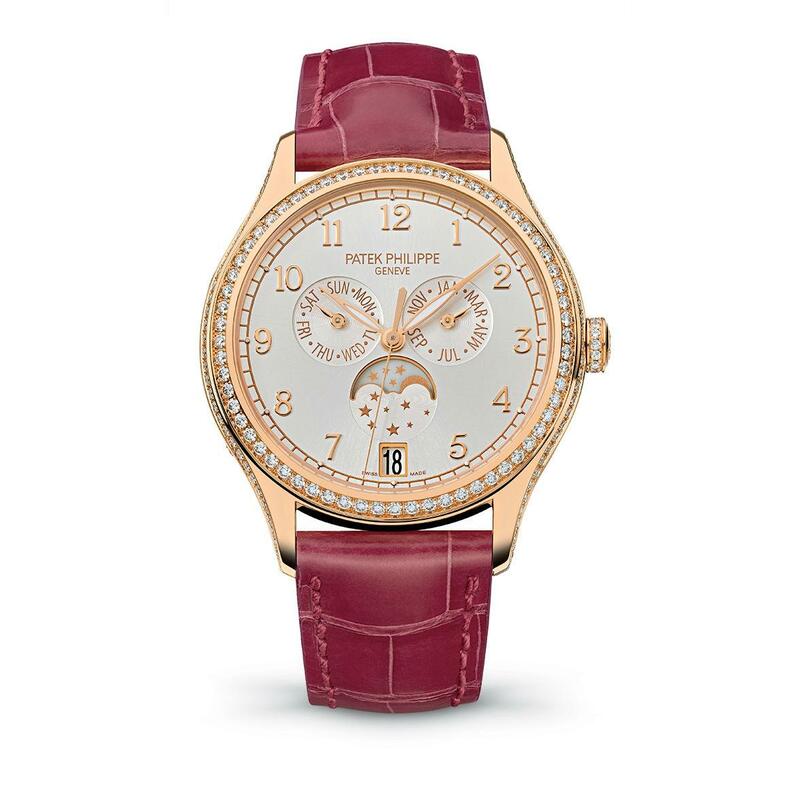 We'd gladly look after this exceptional timepiece, with an 18-karat rose gold case and a pink alligator leather strap. Utterly eye-catching but with everyday appeal, this style is guaranteed to hit the haute spot on Christmas morning. 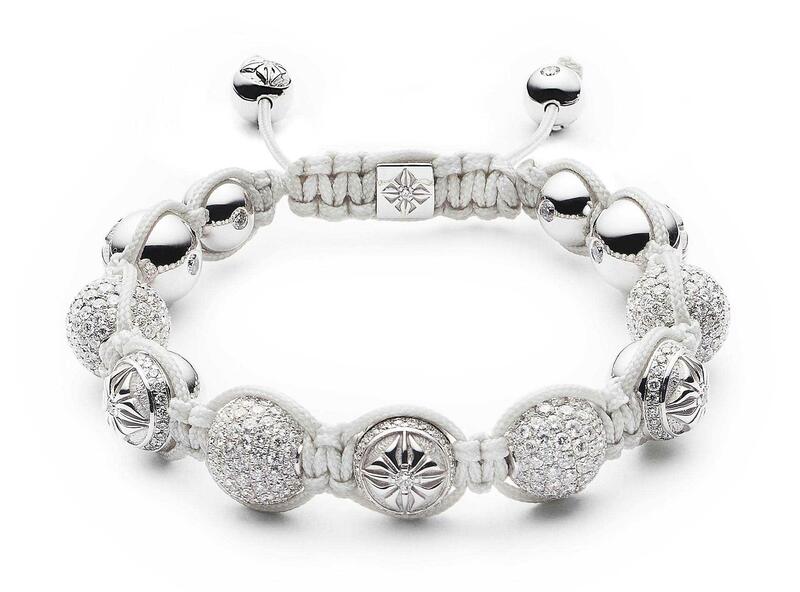 Founded by brothers Mads and Mikkel Kornerup in Copenhagen, in 2005, Shamballa Jewels creates beautifully hand-braided bracelets for men and women, worn by Jay Z, Karl Lagerfeld, Giorgio Armani and Madonna. Each customisable design is accented by precious gem stones and diamonds and stamped with the symbolic Star of Shamballa: two intersecting lightening bolts. Can you ever go wrong with Tom Ford at Christmas? (Answer: no). 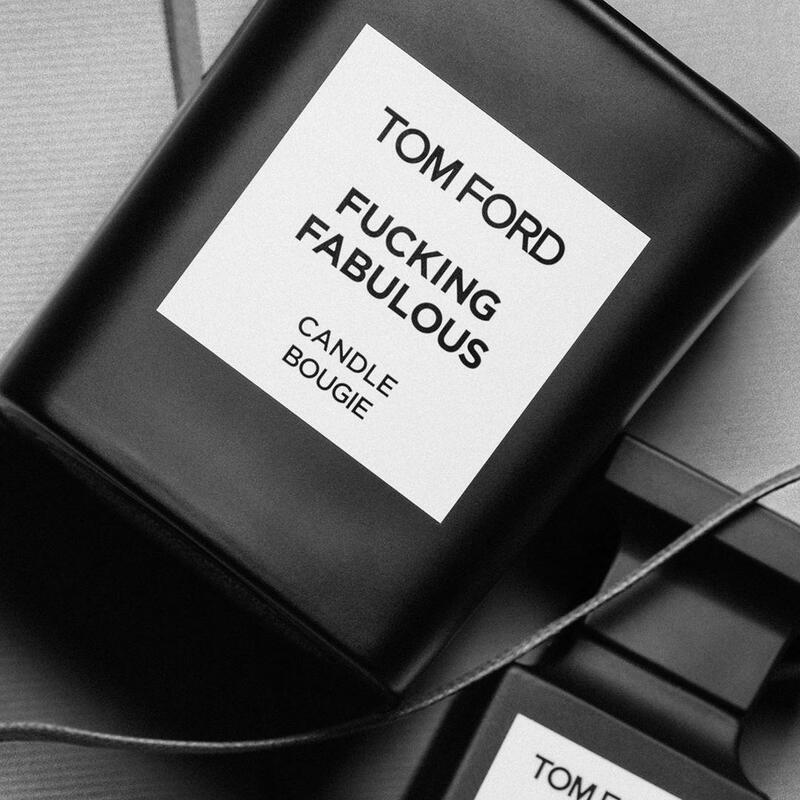 The American designer has expanded his brazenly brilliant F***ing Fabulous collection to include an alluring, leathery candle, housed in a collectible ceramic jar. Gift to that sassy someone, or yourself. Nestled in our mountain of mince pies today is a pair of attention-grabbing Chanel earrings. Bold, glam and imbued with eighties gusto, the lustrous set is crafted from black and yellow gold plated metal and stamped with the French brand's signature interlocking CC logo. Never to be abandoned at midnight, Jimmy Choo has created a collection of perfect party flats that won't hinder your time on the dancefloor. 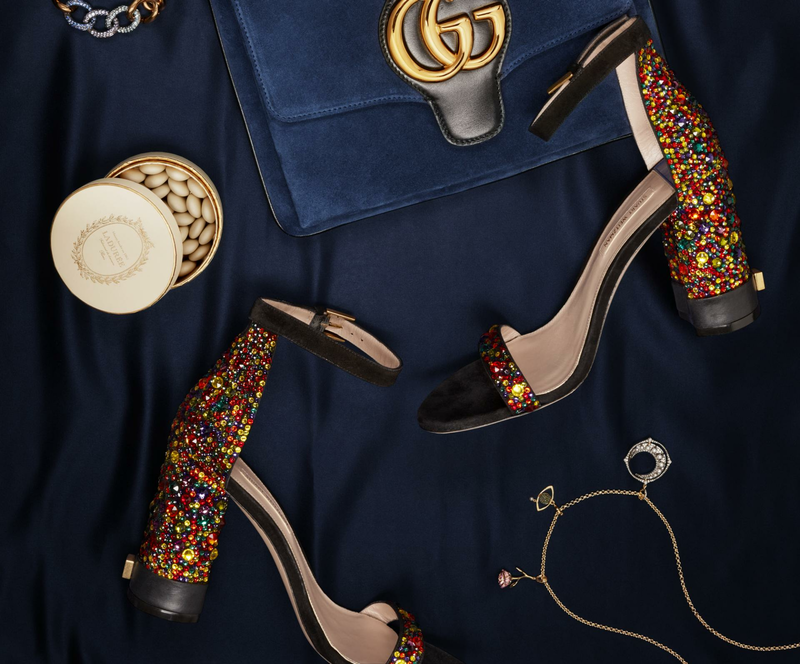 The shimmering black velvet Gianna flat is highlighted by a pointed silhouette and a bejewelled diamanté and pearl circular buckle. 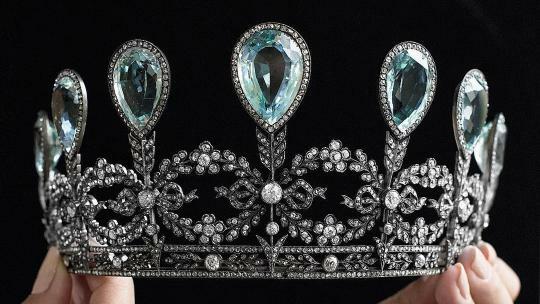 Cinderella, you shall go to the ball. 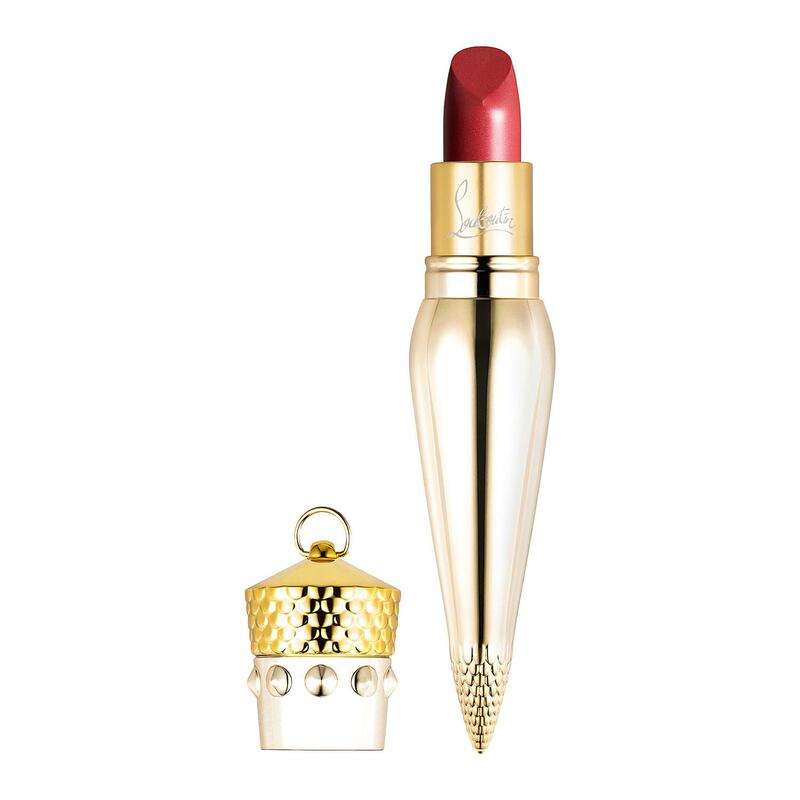 Dial up the decadence with a Christian Louboutin lipstick, housed in a majestic Art Deco-inspired gold-tone vial. The highly pigmented formula, available in 32 rich hues, has been created with hydrating natural oils and seed butter for a long-lasting, plump and dewy finish. Whip this out throughout the party season for an enviably perfect pout. Left Christmas shopping until the last minute? 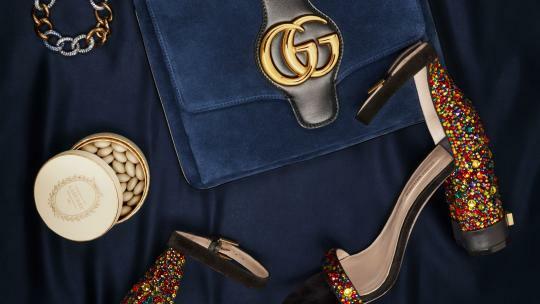 You can happily freestyle all of your Christmas gifts at Aspinal of London, which offers premium leather accessories to suit mum, dad, boyfriend and best friend. 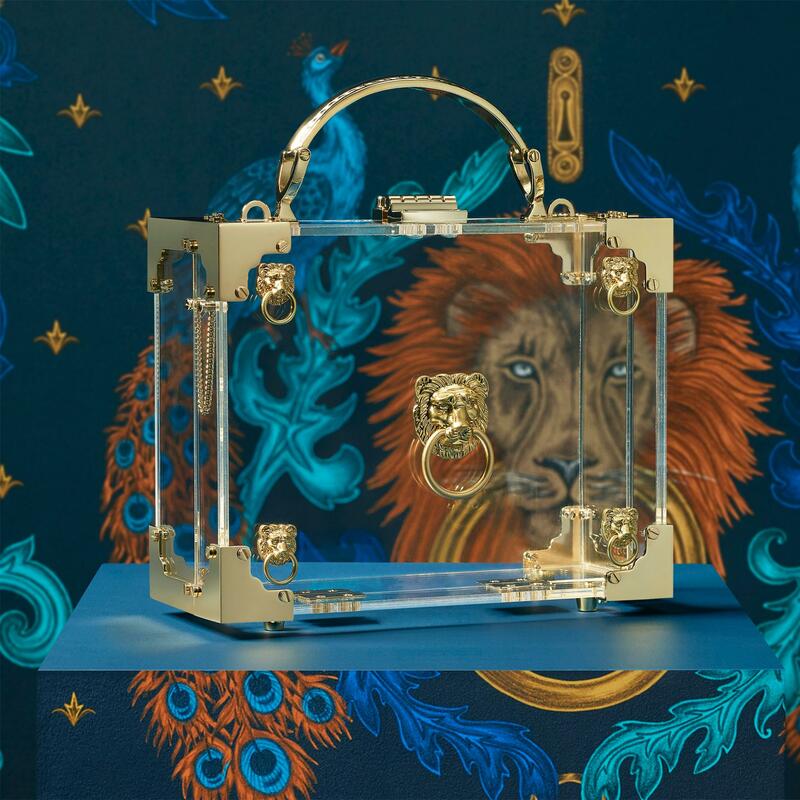 One of our favourite designs this season is the Transparent Lion Trunk, which closes with a majestic lion's head. The crystal-clear design is perfect for show-offs, revealing a curated glimpse inside your handbag. Add a complementing zipped leather pouch to keep discreet items secure. 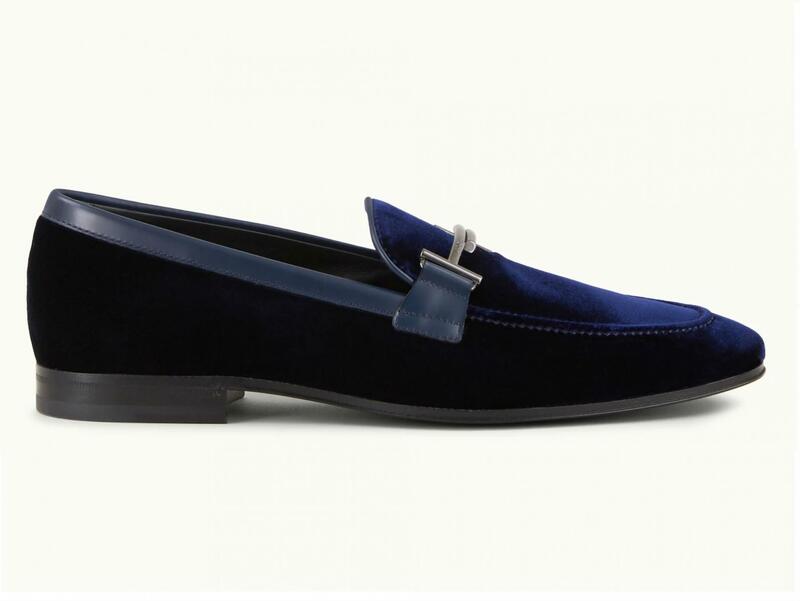 A pair of Tod's is a failsafe gift for any man and these velvet loafers are ideal for cutting a dashing figure by the fireplace this winter. The timeless style is available in black, blue and burgundy and is finished with signature Tod's Double T metal branding. A Boodles quartet is brightening up the thirteenth day of our advent calendar, abloom with diamonds. The Orchard collection playfully refashions the sinuous motif of a pear in glossy white gold, as exemplified by the earrings and necklace photographed below, while a further necklace and ring, nestled in a mince pie, take their cue from the symbolic rose. 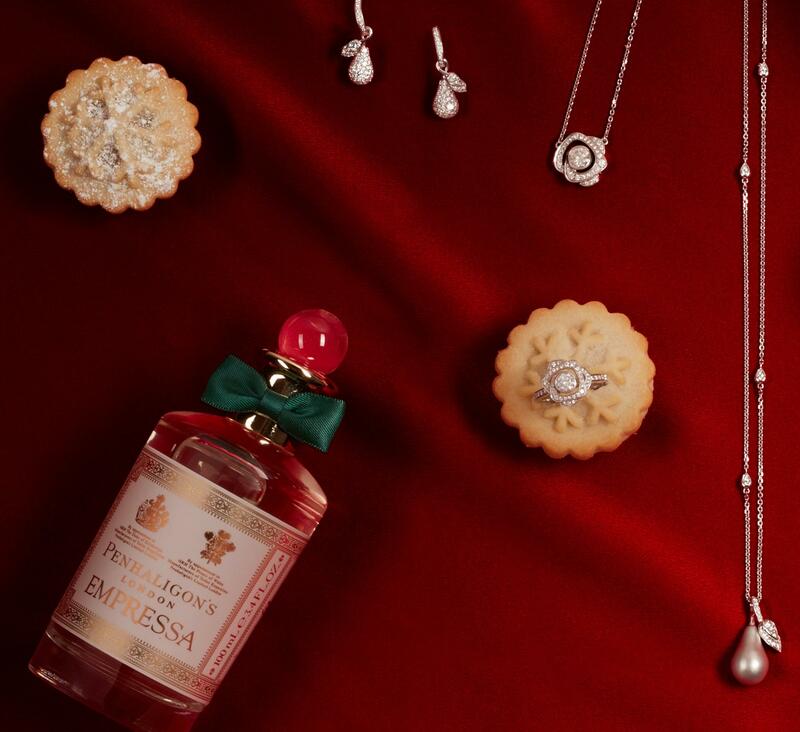 Finish with a spritz of Penhaligons, a brand synonymous with spiced, festive aromas. You can almost smell the boutique from the foot of Royal Exchange Square in The City, which houses 30 luxury boutiques and, for the first time, is open on Saturdays. Freestyle all of your Christmas gifts here and finish at the Fortnum and Mason bar and restaurant in the central courtyard. 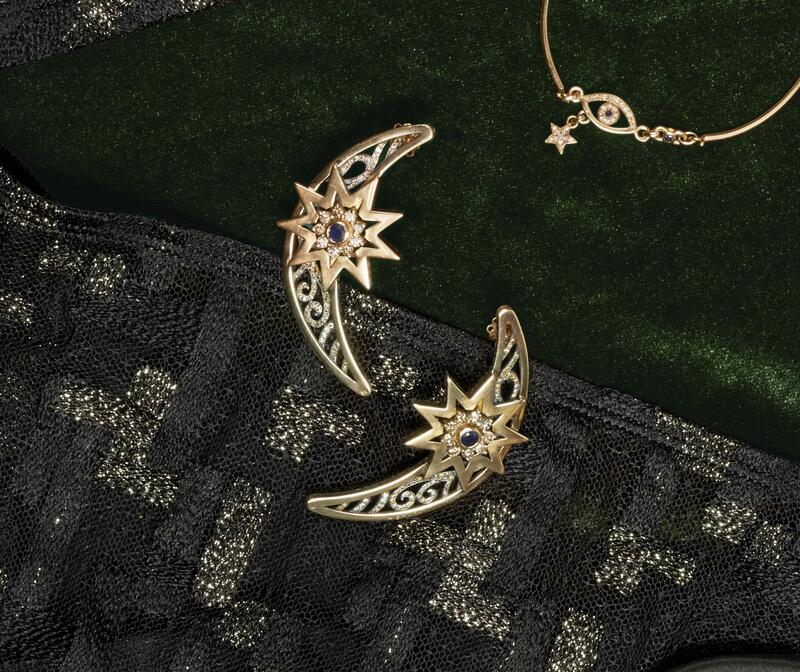 Egyptian jeweller Azza Fahmy is famed for her spellbinding, storytelling jewellery, transforming Middle Eastern textiles, architecture and motifs into striking and intricately crafted fine jewellery. 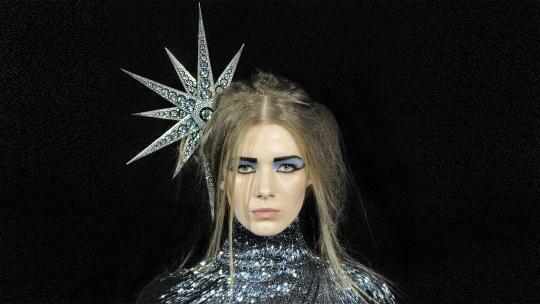 Her bold designs are not for wallflowers, spanning spiralling cuffs, drop earrings and resplendent cocktail rings. These evening-perfect earrings are made from 18-karat gold and adorned with detailed Ajour wire work and glittering precious stones. To the right is the designer’s stackable teardrop bracelet, strung with a symbolic eye and lucky star. 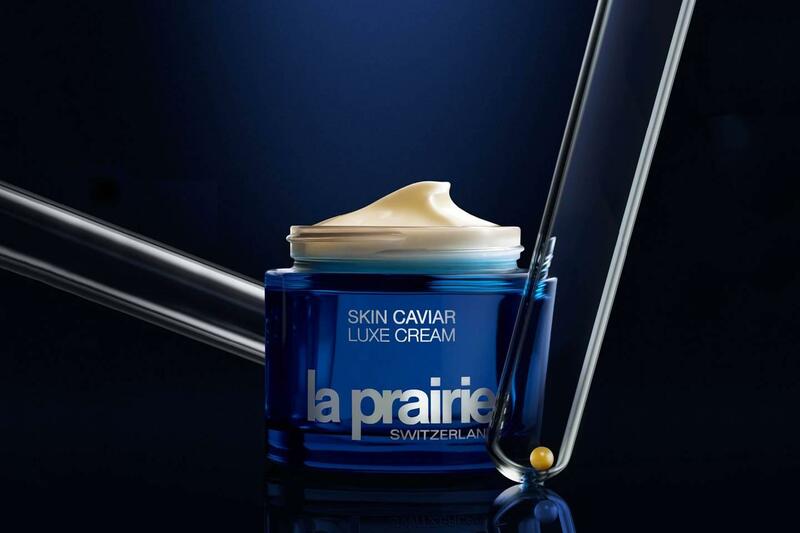 La Prairie's caviar-rich, deeply hydrating cream has gained cult status for its exceptional firming and moisturising capabilities, housed in a signature little blue jar. The Skin Caviar Luxe Cream Remastered with Caviar Premier is the most advanced and indulgent iteration yet, finessed in the foothills of the Swiss Alps. Call it a Christmas miracle, but this cream really does yield the power to lift, tighten and brighten like you wouldn't believe. 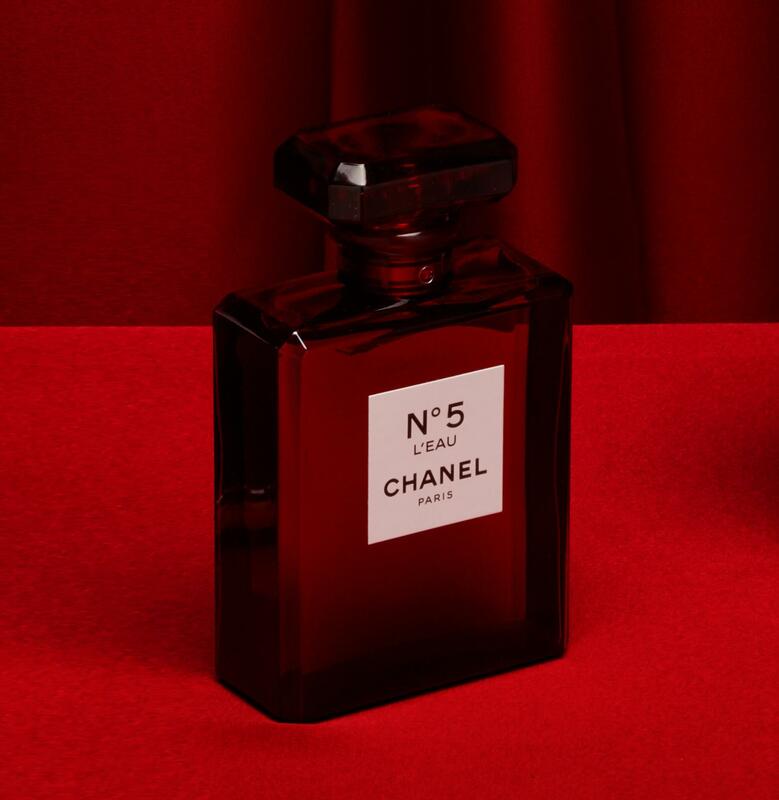 Chanel's inimitable N°5 fragrance has been redesigned for Christmas in a limited-edition red glass bottle. The iconic eau de parfum was birthed in 1921, making it nearly a century old. The ingredients have scarcely changed since its inception, abloom with rose and jasmine, while Chanel has painstakingly preserved the fields of Grasse in France where these flowers are grown. In celebration, an Instagram-perfect 2.5metre-high red Chanel bottle is touring London this month. Following pitstops at Berkeley Square and New Bond Street, the supersized bottle can be found at Duke of York Square until 16 December. One for the epicureans. Attilus Caviar, purveyor of the finest black pearls in London, has launched an aphrodisiac-loaded luxury gift set. 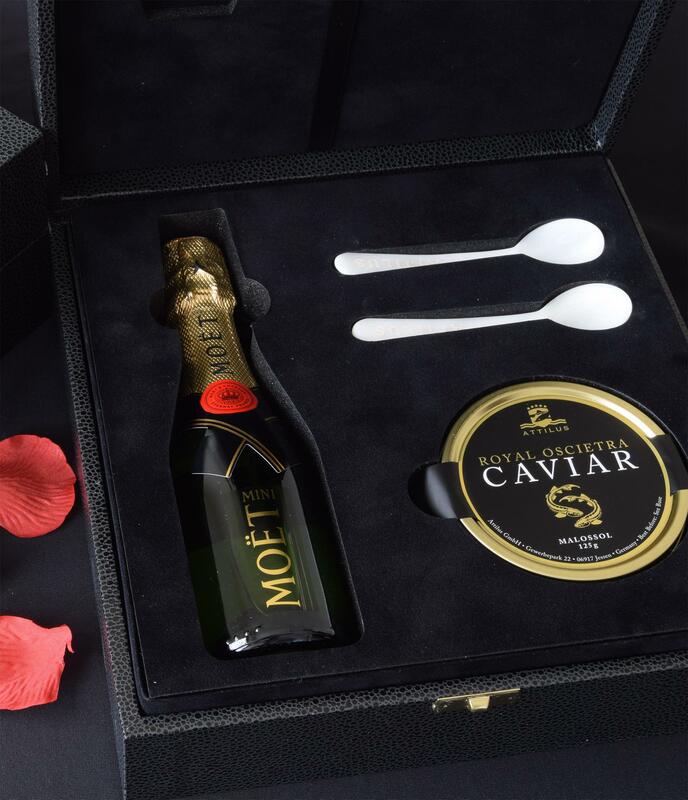 Housed in a sleek collectible case, it features two tins of signature caviar, two mother-of-pearl serving spoons and a bottle of Möet Champagne. Dress from the feet up this Christmas. Stuart Weitzman's suede Supernova heels are encrusted with multi-coloured crystals for the festive season. The resplendent, party-starting style has a sturdy block heel, to avoid foot fatigue on the dancefloor. Halcyon Days started life in 1950 as a boutique on Avery Row in Mayfair, specialising in decorative enamel boxes. It upsized to Brook Street before relocating to Royal Exchange in 2016. This destination shop is a gifting mecca and is one of only 14 companies in the world to hold all three Royal Warrants to the British Royal household. Head here for English hand bone china, fine jewellery and watches. 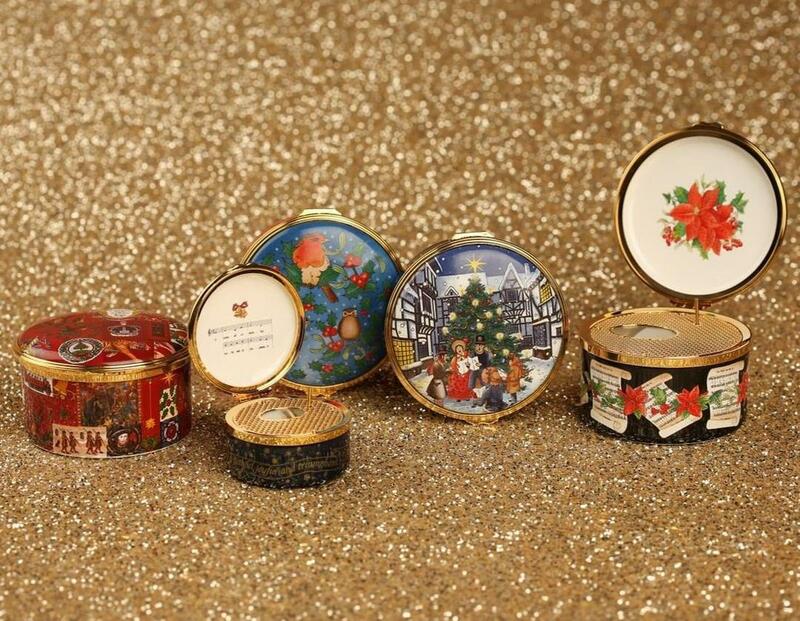 Enameling remains at the heart of the company, as exemplified by these whimsical handpainted boxes. The Halcyon Days boutique at Royal Exchange Square is open on Saturdays throughout December for the first time, providing a stress-free, sumptuous and wonderfully festive setting for Christmas shopping. See you there? Fornasetti creates luxurious, playful objets d'art, printed with whimsical florals, waving hands and Piero Fornasetti's inimitable female muse, first drawn during the mid 20th century and based opera singer and movie star on Lina Cavalieri. 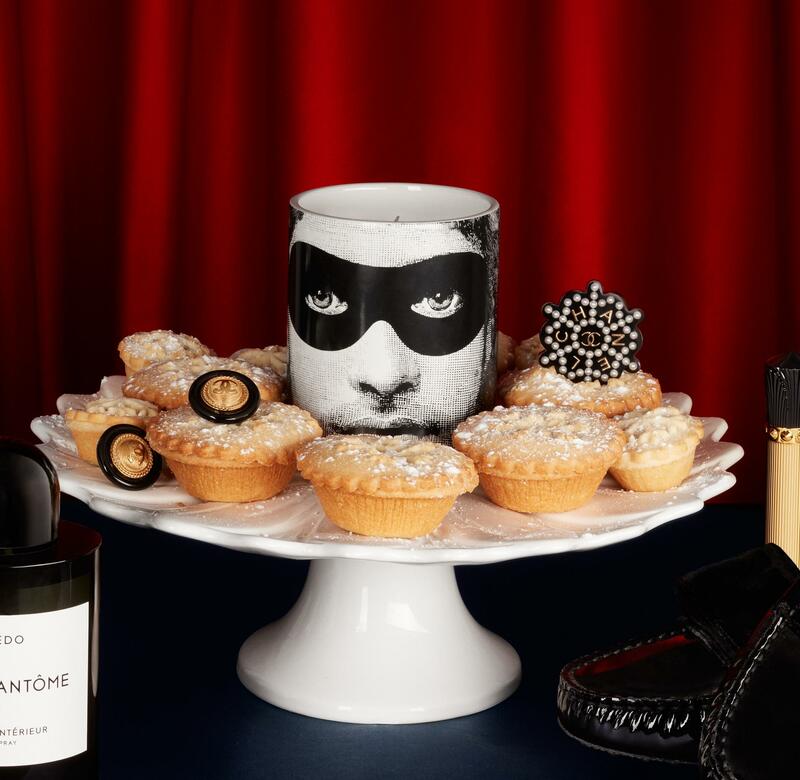 Today's advent calendar entry features a masked iteration of Cavalieri, emblazoned on a keepsake ceramic pot. Inside, a hand-poured wax candle is scented with heady rose Patchouli fragrance. The definition of style and substance this Christmas? 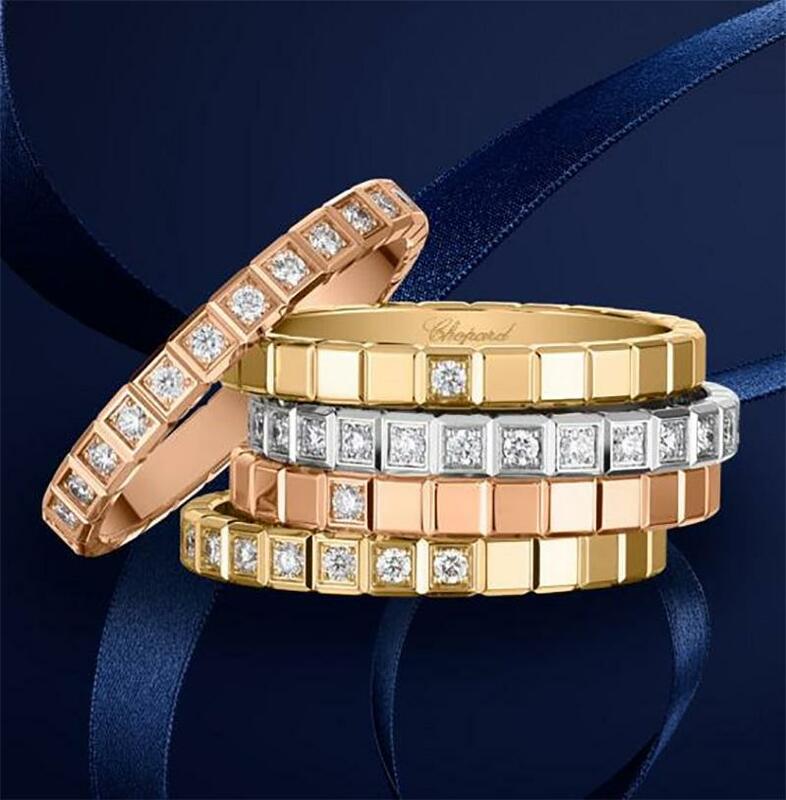 Today brings five gold Ice Cube rings by Chopard, lauded for their geometric simplicity and supreme stackability. Each one is based on a perfect square, crafted from ethically certified Fairmined white, yellow or rose gold. Forget four ducks quacking, on the fourth day of Christmas we give to you a champagne worth quaffing. Armand de Brignac, also known as the ‘Ace of Spades’ for its bling-tastic bottle design, has been owned by rapper Jay Z since 2014. 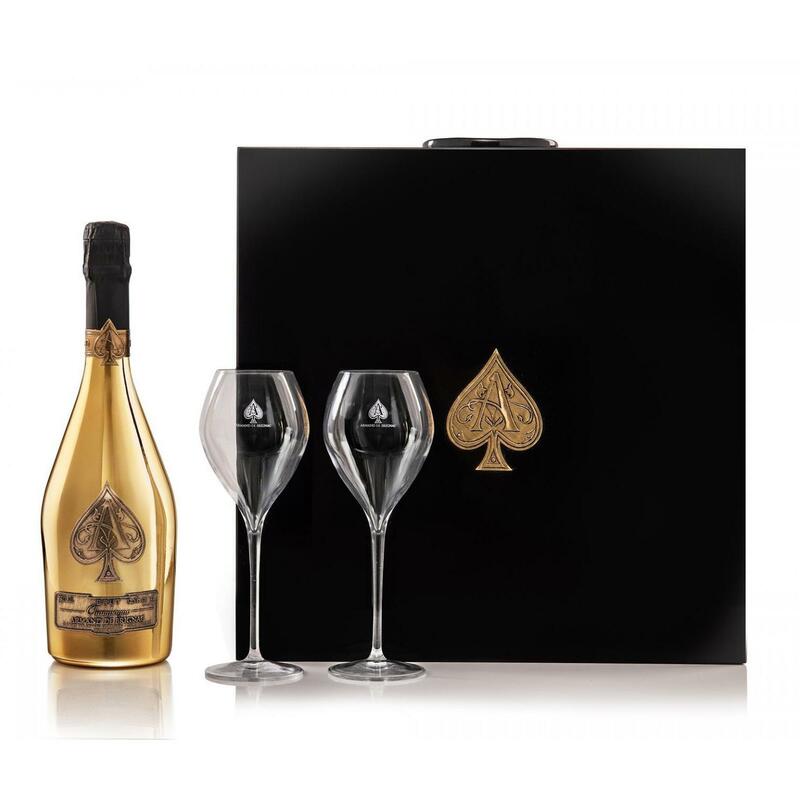 The party-starting brand has launched a decadent gift set comprising one 750ml bottle of Brut Gold Prestige Champagne and two glasses. It is presented in a collectible lacquered wooden case, featuring a heavyweight push lock and a hidden card slot for handwritten messages. 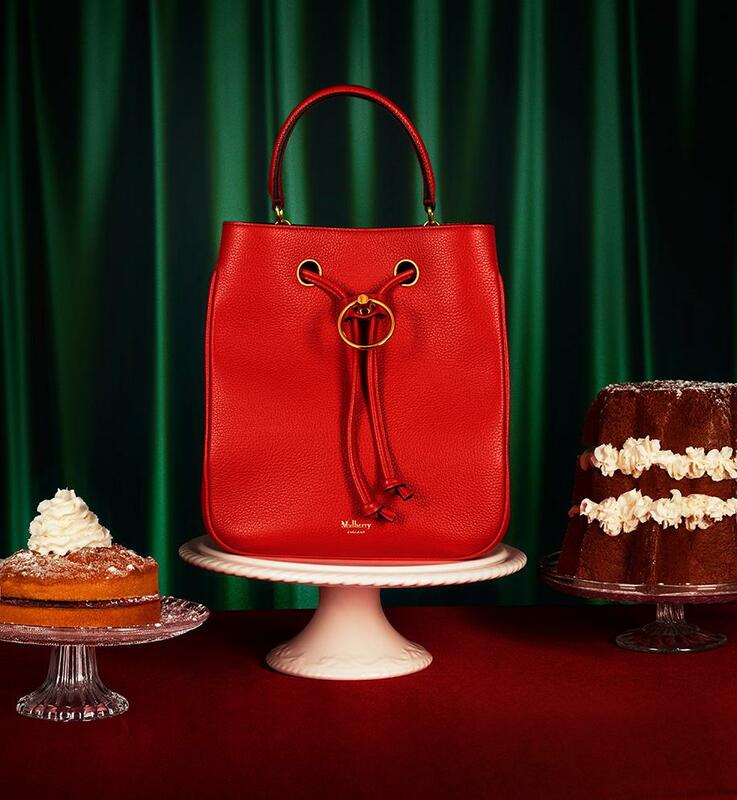 The Hampstead bag is so-called after the famous open-air lido in north London and is the latest silhouette launched by Johnny Coca for Mulberry. Tipped to be as popular as the era-defining Bayswater, this icon-in-the-making is softly structured in grain leather, infused with retro appeal. It has a drawstring closure, cinched by a signature twist ring lock, while the detachable strap makes it endlessly versatile. Swing this playful style throughout the holiday season, available in a spectrum of neutral and colour-popping shades. On the second day of Christmas, we give to you... two one-of-a-kind, diamond-encrusted, colourful Harry Winston Cocktail rings. 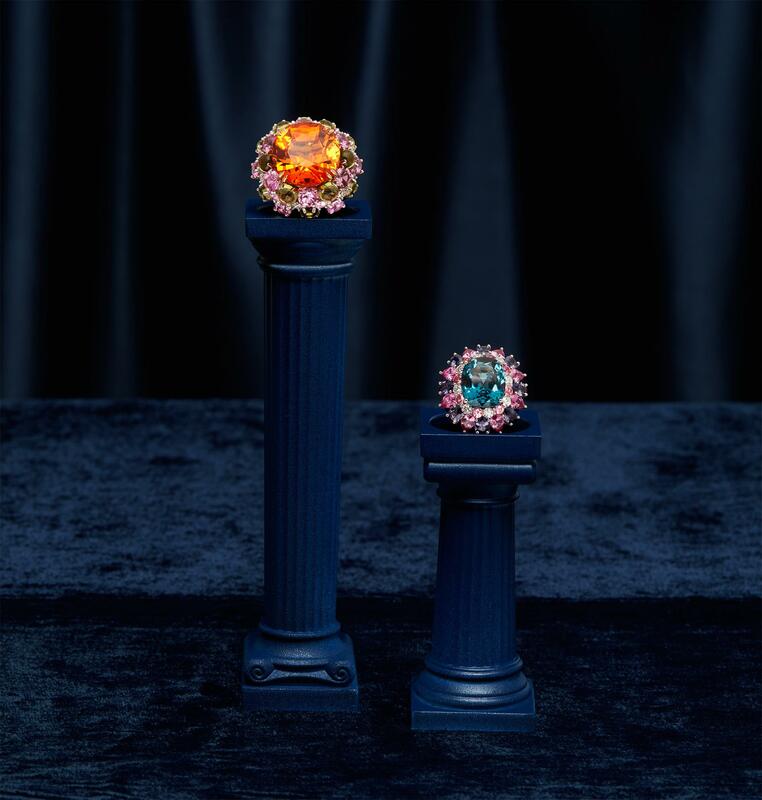 Each one has a fancy-coloured, scintillating centre stone, wrapped in diamonds and deliciously bright gemstones, spanning glowing sapphires, lively spinals and juicy mandarin garnets. 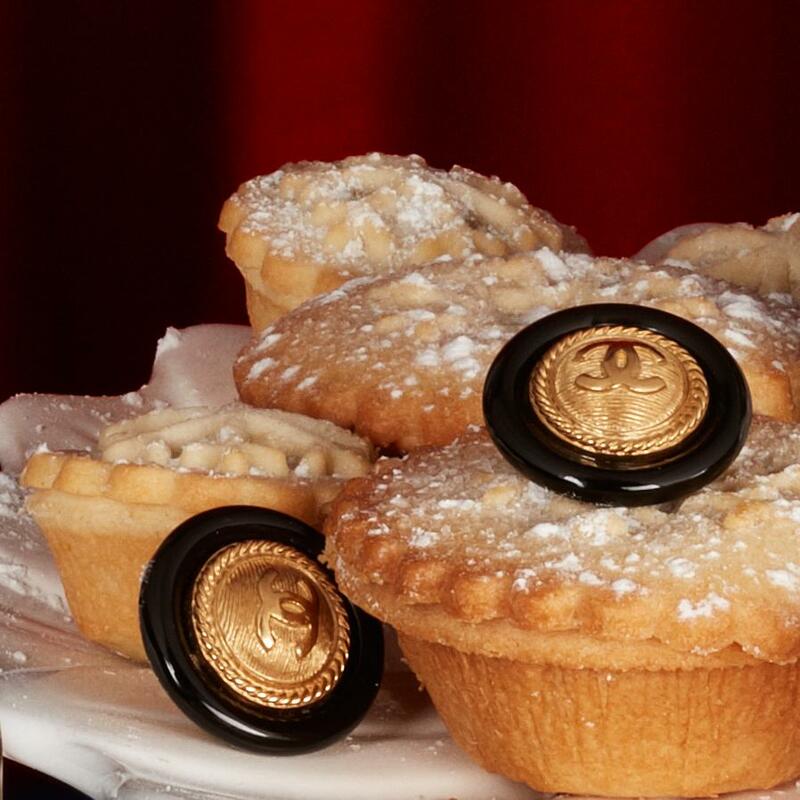 Nothing will grab more attention when reaching for a festive canape this Christmas. Opening our advent calendar is CREED Original Santal. Housed in a fittingly rosy-hued bottle, this majestic scent will mask a myriad of sins this Christmas season. It takes its cue from the royal splendor of India, rich with sandalwood, cinnamon and lavender, with an invigorating hit of ginger. CREED was founded in London in 1760 by James Creed and was awarded a Royal Warrant by Queen Victoria for its robust, opulent scents. The perfumer relocated to Paris circa 1950, at the request of Empress Eugenie, wife of Napoleon III. It has remained there ever since, transferred from father to son for seven generations. Queen Victoria's preferred Fleurs de Bulgarie is also still available to buy, delicately layered with rose, ambergris and musk. You can also personalise bottles with bespoke monogramming before Christmas, both online and at the CREED boutique on Mount Street.